Discover The Simplest and Most Powerful NATURAL lifestyle secret that has IMPROVED the lives of THOUSANDS! 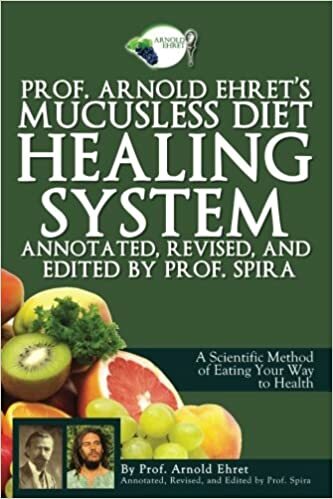 Professor Arnold Ehret’s Mucusless diet healing system: Annotated, Revised, and Edited by Prof. Spiracontains one of the most profound revelations of the 21st century: that mucus-forming foods are unnatural for us to eat and are the fundamental cause of many human illnesses. But how can you eliminate these foods and cleanse the body from their waste? This book has everything You need to Know to Instantly begin Cleansing the Body and Gaining a NEW Lease on Life! What if you only craved the foods that were good for you? You will learn to transform your taste buds so that you no longer desire the most harmful mucus-forming foods. This makes eating healthy so much easier and fun!